Winner of the 2011 National Communication Association PRIDE Best Textbook Award, given by the PR Division. Now See the Second Edition! 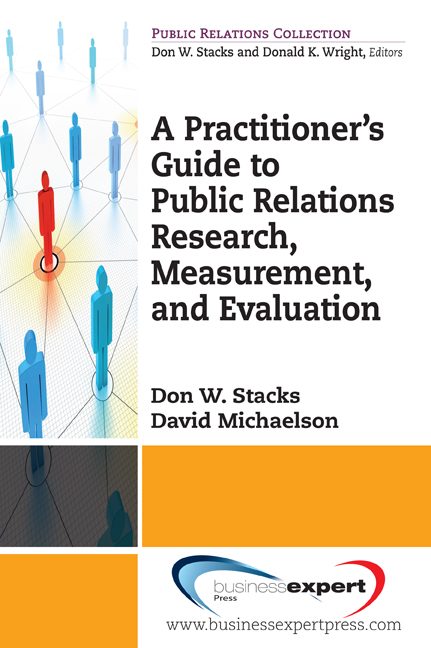 This book will provide the business reader with the necessary understanding of the problems and promises of public relations research, measurement, and evaluation and the public relations practitioner as guide to effective use of methods, measures, and evaluation in providing grounded evidence of the success (or failure) of public relations campaigns.